Part of the reason I launched Luxe Recess is because I have been helping friends and colleagues choose where to go and where to stay for years. Call me a hotel matchmaker. 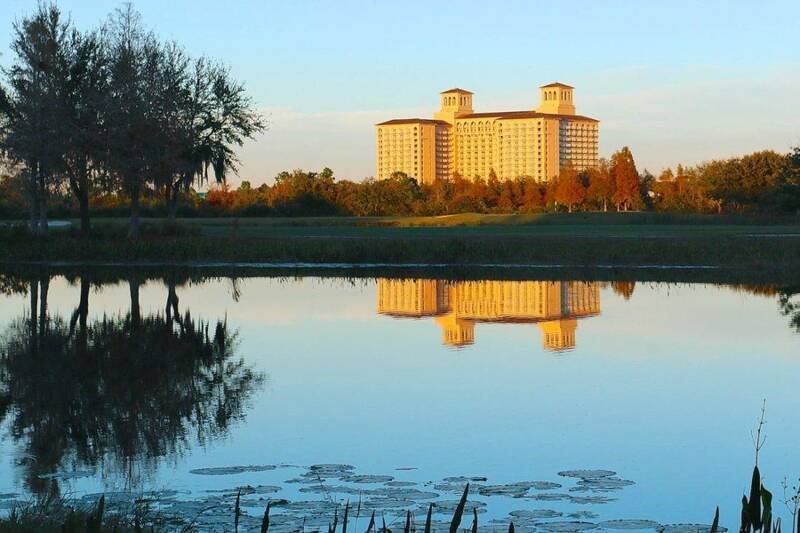 The Ritz Carlton Orlando, Grande Lakes is for you. Wait, I don’t know who you are, right? Doesn’t matter. I have never been to a resort more capable of suiting diverse preferences and styles. Southern carnivore country-clubbers and vegan Coastal hipsters can both be found smiling poolside making small talk while avoiding politics. Everybody’s happy here, whether a vacation means golf and a great steak or kayaking in the everglades and eating farm to table, which is why it is the locals’ favorite for a stay-cation. The Ritz-Carlton is part of a larger resort called Grande Lakes and is shared with the JW Marriott, connected by the spa building and conference center. Guests at either have access to all resort amenities: pools, dining, spa, fitness center, kids clubs, and restaurants, so a family may save money staying at the JW Marriott while enjoying the Ritz facilities, but they’d be missing out on some of the most polished and accommodating service of any Florida resort. Enjoying ice cream at check in. The Grande Lakes resorts: the Ritz-Carlton on the left and JW Marriott on the right. The service is outstanding, and in all of my encounters with staff, they displayed an eagerness to assist with confident knowledge of the property. Most staff I spoke to had worked there since the opening in 2003, and I was referred to by name everywhere. The Ritz Carlton Orlando feels, like you would expect, much like a Ritz Carlton and not like a Disney resort. There are no hidden Mickey sculptures in their vaulted ceilings. In fact, it is the only luxury resort in Orlando without a Disney World desk in its lobby. This is ideal for parents who want to have control of how much theme park they want on their vacation. Grande Lakes is close to Sea World and designer outlet malls (less than 10 minutes) and not far from Universal Studios (15 minutes). It takes 20 minutes to reach Magic Kingdom by interstate, assuming no traffic. Your resort fee includes shuttle service to all three parks; its Disney World stop is Magic Kingdom’s Transport and Ticket Center. Because the Grande Lakes resort is so popular with Florida residents, too, there are many special holiday events that welcome families year after year. Christmas, New Year’s Eve, Easter, and the Fourth of July are big here. Go to Gingerbread School with the Ritz pastry chefs and enjoy a holiday teddy bear tea. On Christmas Eve, one of the ballrooms is converted into Peppermint Square, and on New Year’s Eve, there are adult-only, kid-only, and family options to ring in the new year and enjoy the resort’s fireworks show. Of course the rooms and suites are as comfortable as one can expect and recently refurbished in British khaki and peacock blue. The marble bathrooms have separate bath, shower, and water closet. If you do book a suite for your family, you can upgrade your child’s rollaway bed for $75 for the camping package that comes with a tent set up on a double sized mattress and includes a s’mores treat, stuffed animal, and lantern. For rooms on the Club Level, the Club Lounge is one of the largest in the brand, and has a separate family area for children to enjoy. Its food presentations are plentiful, and you can take your snacks and cocktails outside and enjoy penthouse balcony views of the property. In the distance, one can see the Disney parks’ fireworks. Those who spend on the Concierge level at Disney Resorts who fight over goldfish crackers and mass produced pastries should be sad. What sets this Ritz Carlton apart is how pleasantly a family can pass the day. 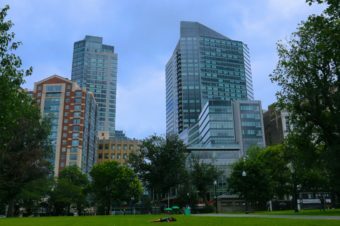 This location has a robust Ritz Kids program for ages 4 and up, and the JW Marriott has its own schedule of activities. The Ritz-Carlton resort fee includes 2 free hours per day for two children in the Ritz Kids club. Ritz Kids is run by enthusiastic staff that were skilled at entertaining my daughter with crafts, age appropriate games, a bunny, a hen, and various reptiles. Getting her out of there took a long time. But even if you have toddlers, don’t fret. There are also daily craft activities for them to do with a parent at Ritz Kids. The pool area has a fenced-in, partially shaded playground and splash area where you can watch your toddlers easily while enjoying a shrimp salad and mojito from the pool restaurant, Bleu. It is a great way to spend a few hours with your toddler and squeeze in possibly three pages of a People magazine. The grounds are massive and beautiful to explore by stroller, and the extensive business corridor connecting the two hotels is ideal for crawlers to burn some calories. For tweens and teens, the JW Marriott pool has a lazy river, more poolside activities, zip lines, and a ropes course. There is private instruction in casting, or you can fish on your own; children under 17 can golf for free with a paying adult. Kayaks, hammocks, paddle boards, and bocce are available to use around the grounds. There is a teen party every Saturday night for those aged 13-17, too. My absolute favorite thing we did, and maybe even my favorite thing to do in Orlando is the eco tour at Grande Lakes. Meeting the Ritz Kids hen. For parents who do get a break, the spa and fitness center have its own excellent cafe and adult-only pool, reserved for those who receive services or pay an access fee. The fitness center offers extensive cardio, weight training, and stretching equipment, a Pilates reformer (though a bit worn), and about six exercise classes per day. The spa and salon were well staffed and service was excellent— though I never saw a staff person at the fitness center the two times I worked out. After a pedicure, I went to pay for my treatments to find a note written by my nail technician telling me how much she enjoyed our conversation. It felt completely authentic as opposed to some staff procedure. Breakfast or lunch at the spa cafe, Vitale, is a must. My server had been at Bleu by the pool the day before and remembered me, called me by name, and told me what to order when I asked. The food was outstanding. (We recommend the crab salad and watermelon smoothie). If you get a chance to lounge by the spa pool, do it. 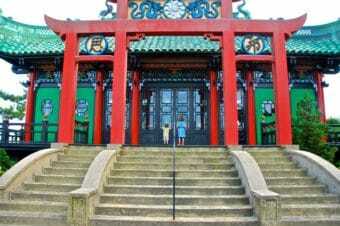 The numerous fountains offer a serene white noise, and an hour here could rejuvenate any worn out parent. The main pool at dusk is beautiful. The rest of the dining options at both Grande Lakes properties will serve everyone well: farm-to-table veggies, sushi, Italian, steaks—it’s all here. With more than ten options combined, it would take a week-long stay to try them all. Grande Lakes has been developing some sustainable agriculture at their Whisper Creek Farm, which is also available to tour. In-room dining is another standout at the Ritz-Carlton, with one of the better kids’ menus I have seen where you can customize an entrée and side according to your children’s tastes. They are very accommodating for special requests, too. Even my omelette was worth photographing, and everything tasted as good as it looked. The newest restaurant at the Ritz Carlton Orlando, Highball & Harvest, is a more casual option compared to Norman’s, their signature restaurant. It is the better choice if dining with small children, and the menu offers Southern comfort food in chic surroundings. It is completely decadent, so plan to arrive hungry. We enjoyed our lunch of crab cakes, fried green tomatoes and kale salad, and they delighted my daughter with a dessert platter and balloons for her birthday. Prior to our arrival at Grande Lakes, we had been at Disney World, where everyone is celebrating a birthday, anniversary, or milestone. Birthdays are really just an additional revenue stream for Disney where parents can order cakes starting at $26. It was the ease of getting Grande Lakes to do something special for her that really stood out afterwards. The Ritz Carlton Orlando wants to make you feel like every day is your birthday. This is just what they do. Check prices for your travel dates. 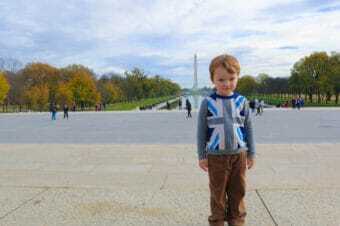 Can You Spoil Kids With Travel? 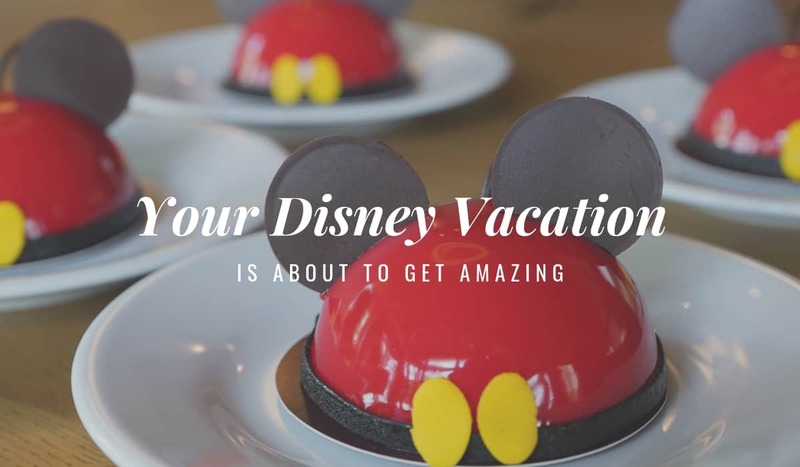 This article sounds like grandparents who have made trips to Disney World with their own children and grands just might have to come along one more time! Yes, it is definitely the place for multigenerational bliss!